Hair studio in Grapevine and we want you to join our team. Having a place of your own is so easy, just a phone call away from starting up today. Are you located in Fort Worth and are looking for a hair studio in Fort Worth? 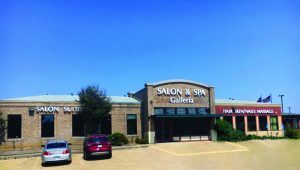 Salon and spa Galleria wants to make all of the locations a one-stop shop for all clients that come in. By renting a suite for us you are on your way to having a salon for yourself one day. With just by renting a suite or spa room from us, you can build up a great clientele if you do not have one already, and open up space on your own. All our suites for rent come with a thirty-two-inch flat screen equipped with DirecTV for you to enjoy in your free time or for you to entertain your customers with.